A dual action machine polisher on steroids! 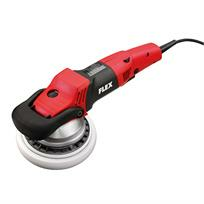 This revolutionary DA polisher removes swirls and scratches effortlessly. Featuring VR microprocessor control with tachogenerator constant speed control, soft start, continuous speed control trigger, restart protection after power failure, overload protection, temperature monitoring and speed selection.